Afar Region – Ethiopia Ms Leila Pakkala and Ms Valerie Guarnieri, UNICEF and WFP Regional Directors for Eastern and Central Africa, have visited the ongoing government-led drought response where UNICEF-WFP are closely collaborating. The drought is affecting six regions in Ethiopia, and 9.7 million people are in need of urgent food relief assistance including approximately 5.7 million children who are at risk from hunger, disease and lack of water as a result of the current El Niño driven drought. 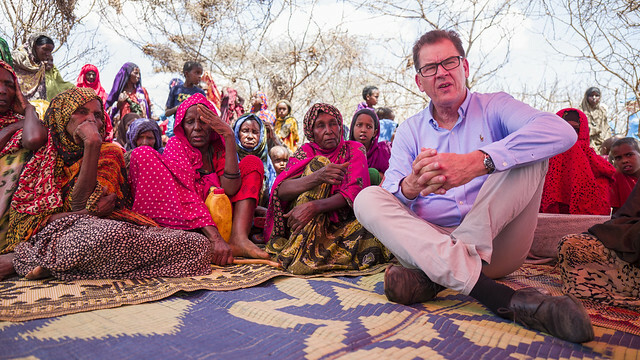 In Afar Region, where an estimated 1.7 million people are affected by the drought, including 234,000 under-five children, the Regional Directors visited UNICEF/WFP/Government of Ethiopia supported programmes. These included the targeted supplementary feeding programme (TSFP) and an outreach site where one of Afar’s 20 Mobile Health and Nutrition Teams (MHNTs) provides preventive and curative health, nutrition and WASH services to a hard-to-reach community in Lubakda kebele. The Mobile Health and Nutrition Team provides Outpatient Therapeutic Programme (OTP) and targeted supplementary feeding programme (TSFP) services to remote communities. The TSFP is integrated with MHNT services that address under five children and pregnant and lactating women with moderate acute malnutrition, and link them to TSFP when they are discharged from OTP. This solves the challenge in addressing the SAM–MAM continuum of care and preventing moderate acute malnourished children deteriorating into severe acute malnutrition. The Directors also visited a multi-village water scheme for Afar pastoralist communities in Musle Kebele, Kore Woreda (district) which suffers from chronic water insecurity. UNICEF and WFP continue to support the Government in responding to the current drought with a focus on the most vulnerable and hard to reach communities by using proven context specific solutions and approaches. 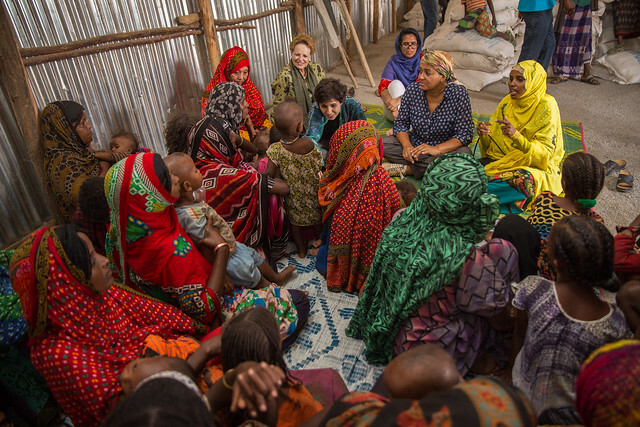 17 February 2015, Semera, Afar Region: A delegation led by Her Royal Highness Crown Princess Mary of Denmark paid a one day visit to the Afar Region of Ethiopia to observe first-hand the implementation of the Joint Programme on eliminating female genital mutilation/ cutting (FGM/C) supported by UNFPA, United Nations Population Fund, and UNICEF, United Nations Children’s Fund as well as a programme on the prevention of child marriage. She was able to see efforts undertaken by community members regarding the abandonment of the two harmful practices and institutional responses at mitigating complications. Crown Princess Mary was accompanied by the Danish Minister for Trade and Development Cooperation, Mr. Mogens Jensen. The Joint Programme addresses the issue of FGM/C not only because of its harmful impact on the reproductive and sexual health of women, but also because it violates women’s and girls’ fundamental human rights. This harmful practice has both immediate and long term consequences to the health and well-being of girls and women, negatively impacting maternal and neonatal health outcomes, and also increasing the risk of HIV/AIDS transmission. The practice often leaves girls with severe pain and trauma, shock, hemorrhage, sepsis, urine retention, ulceration of the genital region, and urinary infection, among other complications. Girls’ and women’s health, their empowerment, and the realization of their rights are negatively affected by FGM as well as the achievement of the Millennium Development Goals related to reducing child mortality, improving maternal health and combating HIV/AIDS. In the Afar Region girls and women are subjected to the worst form of the practice – infibulation – usually at the ages of seven to nine. In some districts in Afar, this harmful traditional practice is even exercised within some days after the birth of the child. The rights-based approach affirms that well–being, bodily integrity and health are influenced by the way a human being is valued. 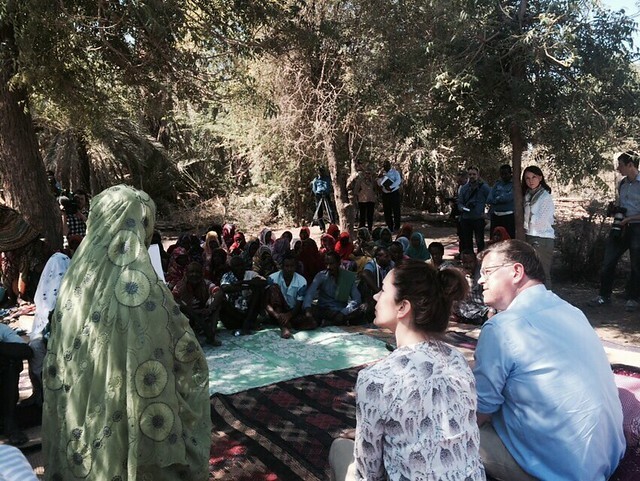 In the first leg of her visit, Crown Princess Mary met different community members at a locality in the Afambo District and observed community dialogues involving different sectors of the community on the abandonment of FGM/C and child marriage. In addition, she observed a discussion of adolescent girls’ club and interacted with the participants. This intervention which aims at integrating efforts at the abandonment of FGM/C and child marriage is under implementation for the past two years in seven localities in the Afambo District and is coordinated by the Bureau of Women, Children and Youth Affairs of the Afar Region. Woizero Zahara Humed, Head of the Bureau of Women, Children and Youth Affairs, provided the visitors with an overall briefing regarding the programme. Crown Princess Mary interacted with community members, especially women and girls, and appreciated the efforts being undertaken to abandon the harmful practices and empower girls and women. 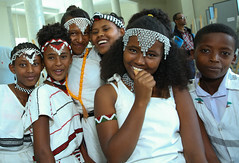 The Ethiopian Demographic and Health Survey of 2011puts the median age at first marriage for the Afar Region as the third lowest in the country at age 16.5. Moreover, despite the progresses made in recent years, the prevalence of FGM/C remains very high in the Region. According to the 2011 Welfare Monitoring Survey the prevalence of FGM/C is highest in the Region at 60 per cent. But six districts in the Region in which the UNFPA-UNICEF Joint Programme on Accelerated Abandonment of FGM/C is being implemented have publicly declare abandonment of the practice since the initiative was launched in 2008. For the second leg of her visit, Crown Princess Mary was taken to the Barbara May Maternity Hospital in Mille District, where she observed services being provided by the hospital at tackling complications resulting from FGM/C and child marriage, such as teenage pregnancy and childbirth. 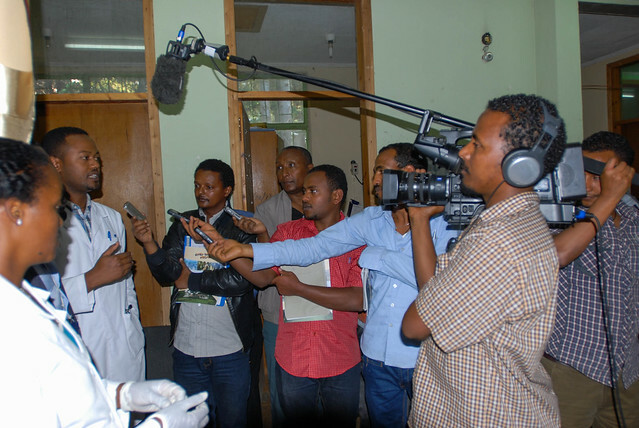 She was given a tour of the facilities of the hospital by Valerie Browning – Head of the Afar Pastoralist Development Association which is running the hospital – and the medical staff of the hospital. It was indicated during the visit that the hospital which has been operational since 2011 is providing life-saving delivery services and treating obstetric complications created by FGM/C. Crown Princess Mary also got the chance to interact with patients during her visit to the hospital. Crown Princess Mary admired the commitment of the Afar Region in tackling FGM and child marriage when she met Awel Arba, Vice President of the Afar Region, later in the day. 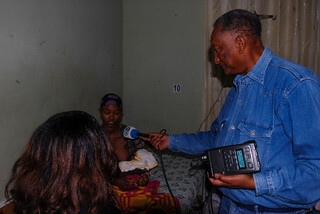 She appreciated the support being provided by UNFPA and UNICEF. The Vice President assured the Crown Princess that his Region was keen in continuing efforts at improving the lives of girls and women and remarked that his Region looked forward to support from Denmark. 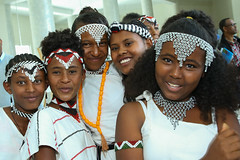 During the Girl’s Summit held in London in June 2014, the Government of Ethiopia has committed to eliminate both FGM/C and child marriage by 2025. 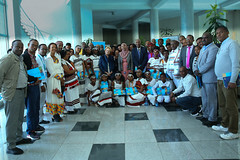 The visit was jointly organized by the Embassy of Denmark, UNFPA, and UNICEF. SEBETA DISTRICT, 1 February 2014 – “Wash your hands before you eat; wash your hands after visiting the toilet; wash your body… clean your environment ….” The song in the Oromiffa language continues with further messages on hygiene. 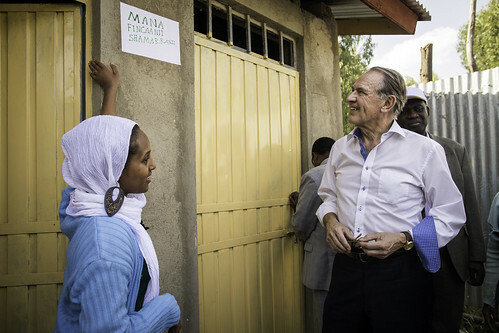 When the UN Deputy Secretary-General, Mr Jan Eliasson walks toward the latrines at DimaPrimary School in Sebeta, Oromia Region, he is welcomed by students from the Hygiene and Sanitation club, singing proudly about personal and environmental hygiene. Hayat Hachallu, is 13 years old and a member of the Dima Primary school Hygiene and Sanitation Club. This 7th grader is certainly not shy. She takes the DSG by the hand and shows him the school latrine, hand washing facilities and the water point. “Here are the latrines for girls,” she explains to the special visitor, while opening the door carefully. “For us, girls, it is very important to have private facilities. A place where we feel safe and have the privacy we need. The toilets here are not great: they are too dark, the doors don’t close very well and it really smells badly,” she says. “Now, let me show you our newly built latrines,” and she pulls Mr. Eliasson away from the rickety iron sheet structure toward a stone construction. There are 30,634 primary schools in Ethiopia, of which 5,000 are directly supported by UNICEF. Primary schools are encouraged to address key Water, Sanitation and Hygiene (WASH) issues such as installation of water supply, construction of gender-segregated toilets and hand-washing facilities. Hayat and the other girls are benefiting from UNICEF funding for the newly built girls latrine. “Look Mister look”, Hayat points proudly. “Look, here are our new toilets. They are much better don’t you think,” she asks cheekily. Hayat clarifies that the school Hygiene and Sanitation activities are managed by the Environmental Protection and Sanitation Club which is composed of 105 students of which 57 are girls and 5 are teachers. By focusing on school aged children and providing them with the necessary tools and knowledge to change behaviours at school and home, children play a crucial role in sharing information and knowledge with their parents and family members to achieve better health, environmental, sanitation and hygiene practices. Ethiopia has been an active participant in the Sanitation and Water for All Partnership. In 2013, the Ethiopian Government, with support from UNICEF, was able to establish a Sector-wide Approach termed the ONE WASH National Programme with a dedicated budget line for sanitation in the Government of Ethiopia’s treasury for sanitation. Since 1990, the country has made substantial progress in improving access to water supply and sanitation coverage. However, millions of people still remain without access to safe water and sanitation services. In 2010, out of a population of over 80 million, about 46 million were without access to improved water supply and sanitation and Ethiopia had the highest number of people (38 million) practicing open defecation among African countries. The lack of access to adequate clean drinking water and sanitation services has a dramatic impact on the lives of people, especially women and girls, and undermines efforts to improve health, nutrition and education outcomes. Although good progress is underway, still some challenges remain. Nationally, only around 31 per cent of school have water supply facilities in their premises and 33 per cent have improved latrine facilities. On average, the toilet/student ratio is 1:120. 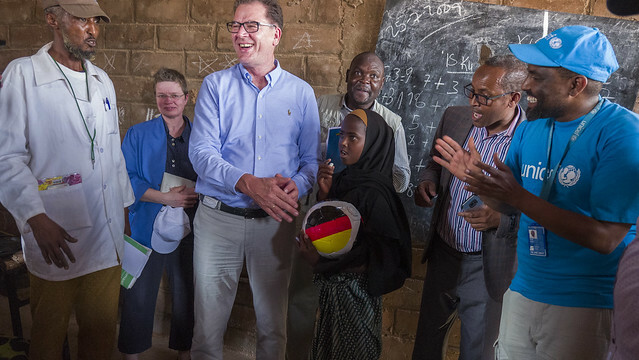 In Oromia Region, where the Dima Primary School is situated, only 52 per cent of its total population has access to safe drinking water and the sanitation and hygiene coverage is also 52 per cent. The Deputy Secretary-General talks with the school children to hear about their experiences. While they explain the importance of the school club in educating the community on hygiene practices, and the challenges they are facing, the DSG appeals to each and every one of them. “It is up to ALL of us,” he underlines while speaking to the students and the bystanders. With passion and conviction he adds: “Nobody can do everything, but everybody can do something”. Hayat and her peers nod in agreement. Although they had never previously heard of the DSG’s Call to Action on Sanitation, they know the importance of sanitation. They know their individual and club efforts will bring change. They know its up to them to make their school and community a better place. In the end, this is also their call to action.